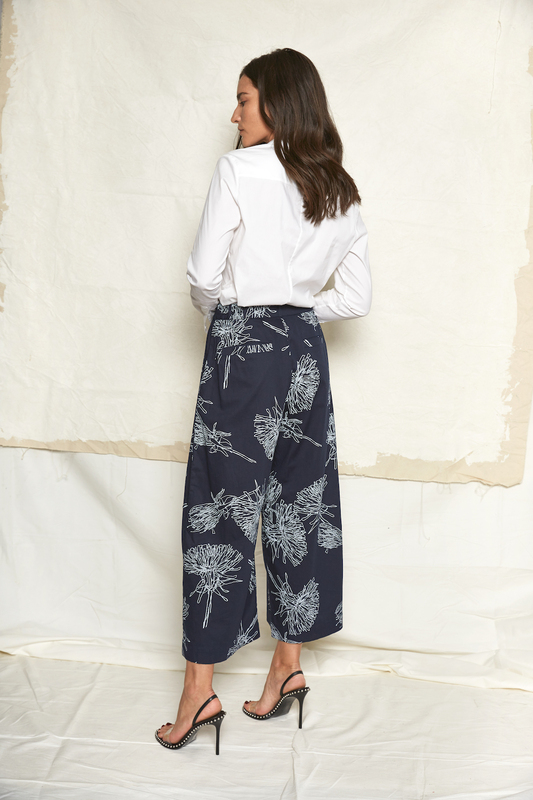 Comfort meets sophistication with Kowtow’s Casting Pant for fall. 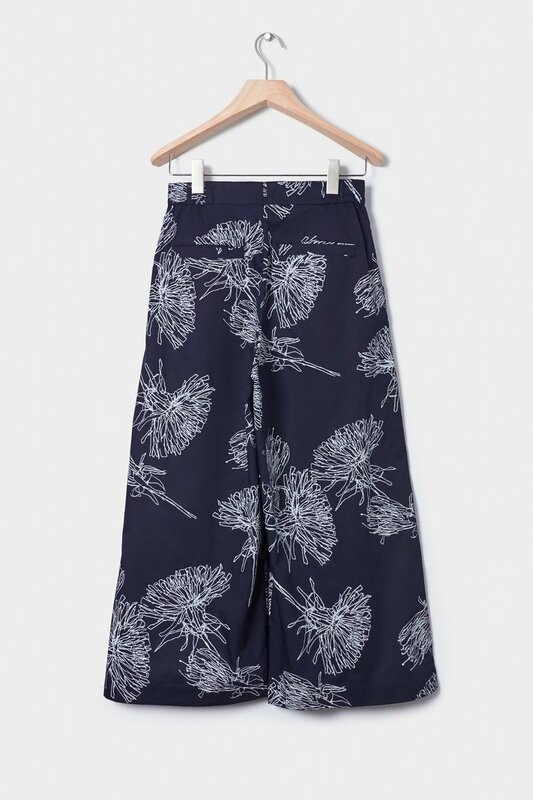 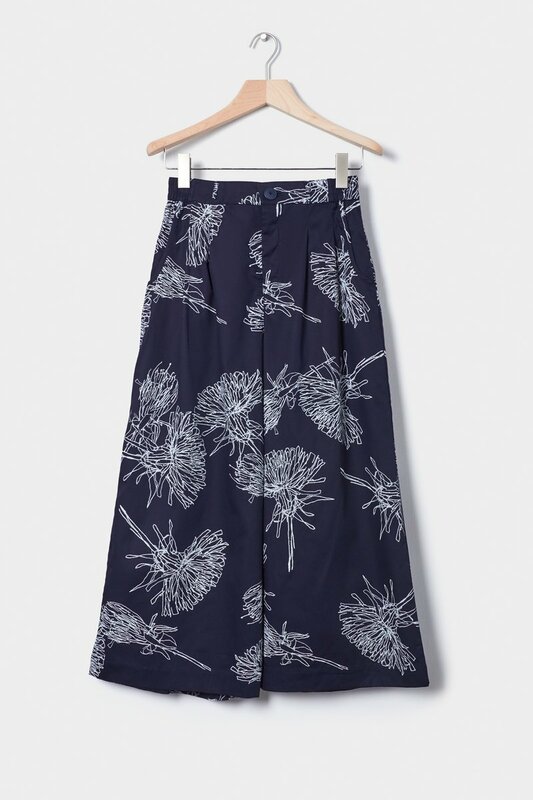 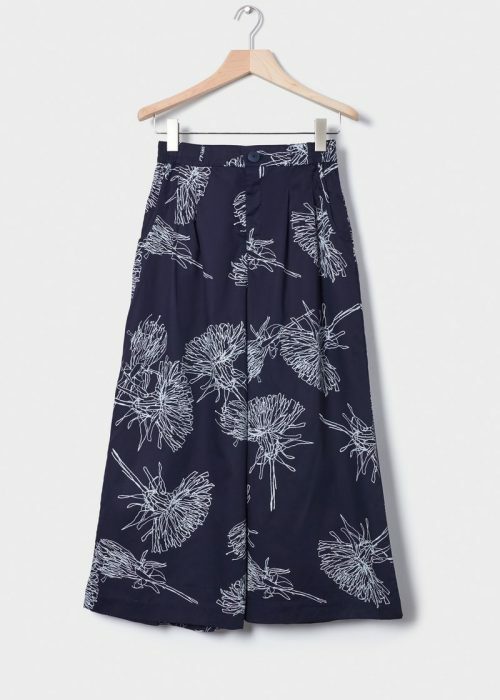 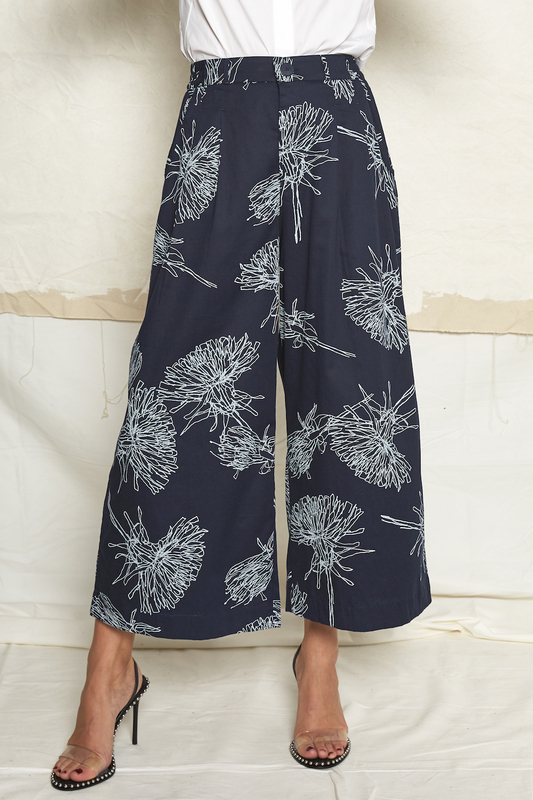 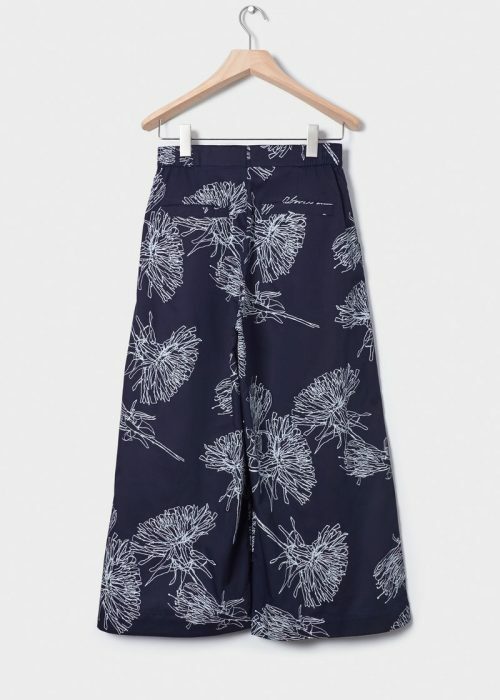 The pair now comes in a new dandelion navy print that’ll work all year round. 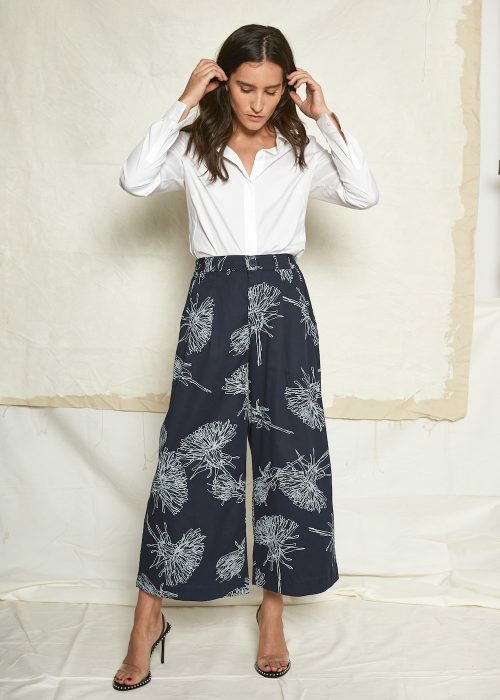 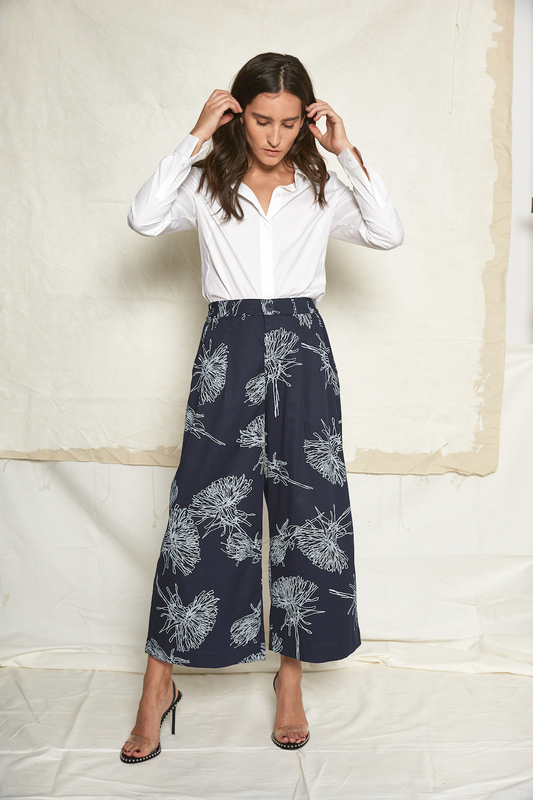 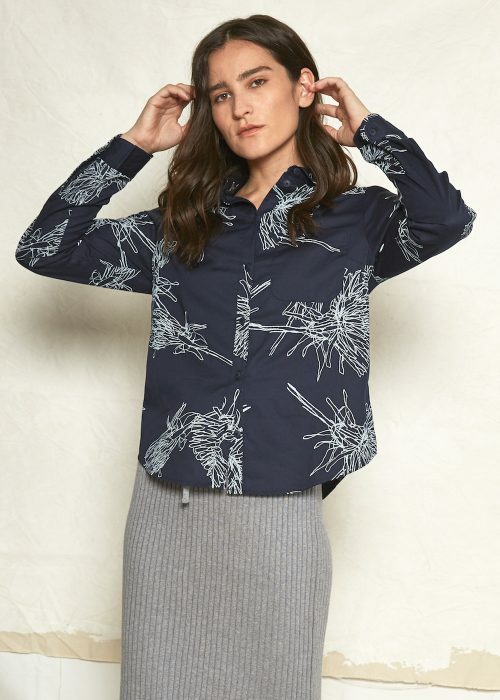 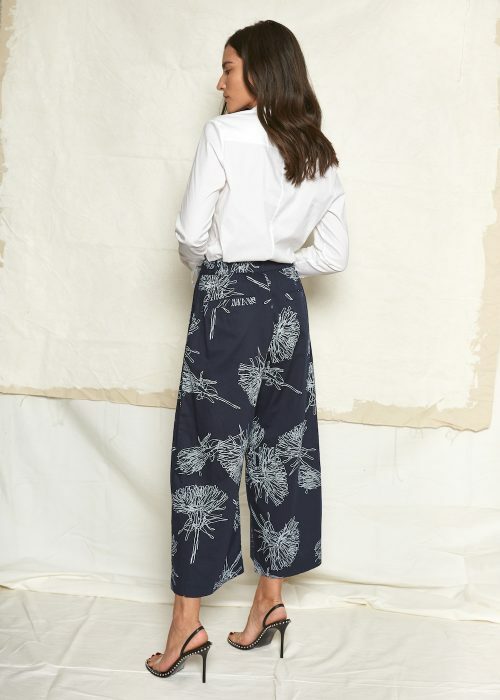 Features a wide cropped leg with front pleats, back and side welt pockets, and side elastic waistband. 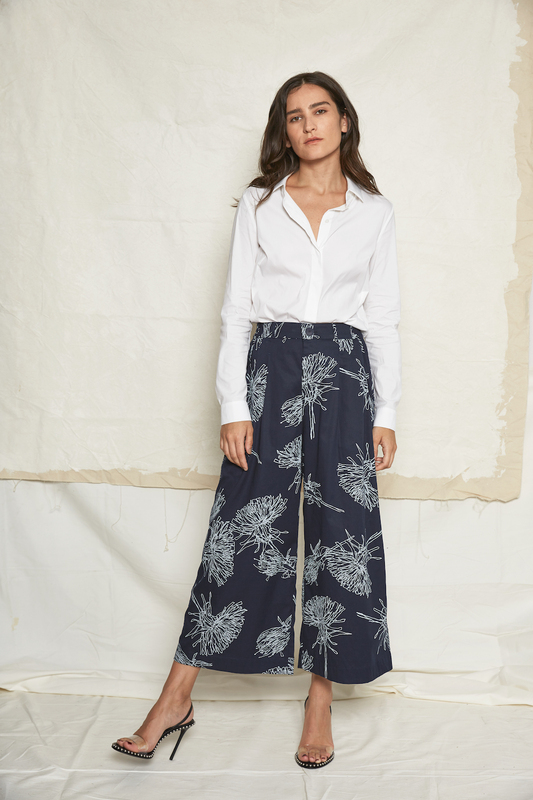 Made in 100% certified fair trade organic cotton poplin. 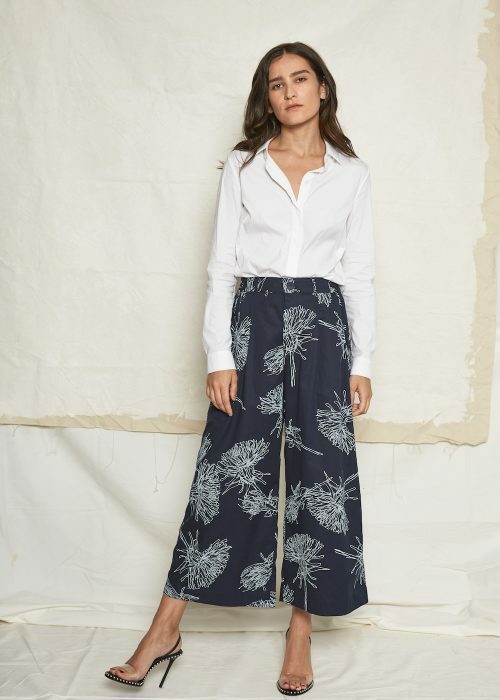 Worn here with the Penny Shirt.